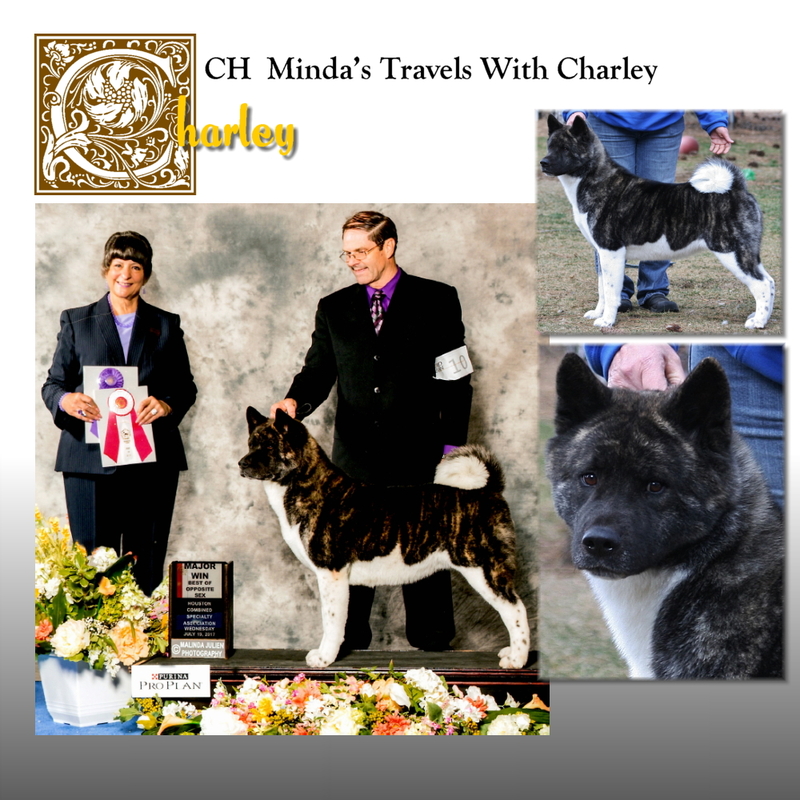 Charley is from our very nice breeding of Apollo and Journey. As we anticipated, she has slowly and steadily matured into a beautiful young lady. A striking black brindle and white with just the right combination of good traits from each parent, we’re very excited about her future contributions to our breeding program. As well as inheriting so many good traits from her parents, she also inherited their lovely temperaments. As trite as it might sound, the word “good” describes her to a tea. She was a good puppy who has grown in to a good adult. She’s good at kisses, she’s good at traveling, she’s good at watching TV, she’s good at going for walks, hanging out on the porch, sleeping upside down, being bathed, playing Akita fetch, and hopefully, very soon, she will be good at being a show dog. We have an exciting breeding planned for her eventually but first we’d like to give her the chance to shine in the show ring. We have never been in any hurry with Charley and just let her travel along at her own pace and that has served us very well as she’s grown into a level headed, solid natured adult who is happy with any and all of life’s experiences. Traveling with Charley has been easy and delightful.